Ever since Porsche announced its intent to make a return to the 24 Hours of Le Mans, a series that the marque has seen tremendous success in, there has been plenty of speculation as to the technical specifications of the car. A matter of particular debate came in the form of what sort of engine would power the new 2014 LMP1 car. 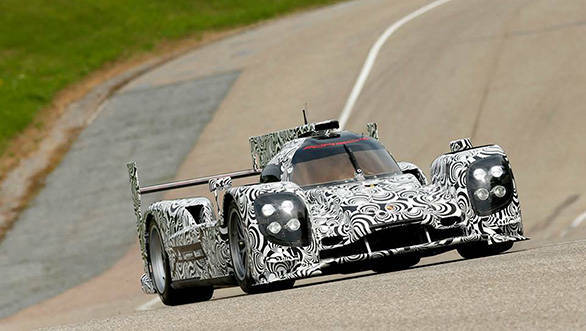 Given that sister company Audi already fields a fleet of diesel powered cars and the hybrid R18 e-Tron Quattro at the 24 Hour race, it seemed unlikely that Porsche would use a diesel powerplant for their 2014 LMP1 car. But Porsche was still keeping very quiet about its technology. However, we can now confirm that the 2014 car will come powered by a gasoline engine, a fact that was confirmed by Holger Eckhardt, head of motorsport communications, Porsche. While he refused to divulge any further details about the engine, OVERDRIVE was able to learn from other sources within Porsche that the powerplant would be a naturally aspirated petrol. A source declared also 'The engine will be a small capacity petrol, with the idea being to stretch it to its maximum over the course of the race. Which is something that Porsche is known to do.' Indeed when Porsche won the 1970 24 Hours of Le Mans, they did it in the 917 that had a smaller engine capacity when compared to several of its rivals. However, Alex Hitzinger, technical director of the LMP1 project refused to comment on the powertrain. He did reveal that with the 2014 regulations stipulating that a hybrid component be part of the LMP1 cars, Porsche decided to complete the entire project in house. The obvious benefits of which are complete technological control and application to road cars immediately. Meanwhile Eckhardt declared that some basic details about the engine and powertrain would come to light in December. While the entire car, technical specifications included, would be revealed at the 2014 Geneva Motor Show.